In 1957, with approximately 27 service stations operating in Indianola, Wilbur Chumbley's Auto Care purchased the Conoco service station and began selling fuel and repair services. In subsequent years the business expanded to include a 24-hour towing service and a Conoco farm tank wagon service he purchased from Bob Davey. His twin brother Winton, joined the business to help with the tank wagon business and Bill Dickerson was added to help with towing and auto service. After several years, when Winton and Bill had left for other business ventures, Ron Jones was brought on as a partner, and in 1975, Chumbley & Jones Oil Company Inc was born. 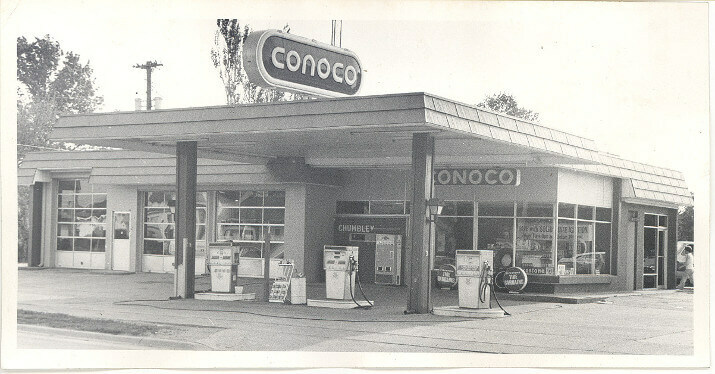 During this time, Wilbur added a commercial sign business, doing work for Conoco stations in a four-state area. When Wilbur retired in 1995, he sold his interest in the corporation to Thad Bloom, and in 1999, Ron Jones sold his interest to Tim Davison. Thad and Tim were partners until October 2004, when Tim purchased Thad's interest. In 2005, Tim sold the bulk fuel business to Diamond Oil in Des Moines, and began business under the name "Chumbley's Auto Care" f/k/a Chumbley & Jones Oil Co. In 2008, with a shift in the supply chain, Tim was forced to terminate all Conoco brand fuel products. This opened a door for a dramatic image makeover that would not have been allowed with Conoco branding. Tim followed his father, Glen Davison, into the business. Glen operated a Standard Station next door to Chumbleys from 1950 to 1983. Previous to that, his grandfather Jess Davison, operated his own service station through the 1920’s and into the 1950’s, being fortunate enough to survive the Great Depression. Tim is very proud of his family’s heritage and that he is operating the last true full service “service station” in Indianola. That is why he has chosen to retain the Chumbley's Auto Care name, which has been synonymous with quality fuel products and excellent auto service for over 50 years.